Dr. Timothy M. Persons is a member of the U.S. federal Senior Executive Service and was appointed the Chief Scientist of the United States Government Accountability Office (GAO – the oversight, insight, and foresight entity of the U.S. Congress) in July of 2008. In addition to establishing the vision for advanced data analytic activities at GAO, he also serves as a Director for GAO’s Center for Science, Technology, and Engineering (CSTE), a group of highly specialized scientists, engineers, operations research specialists, and information technologists. 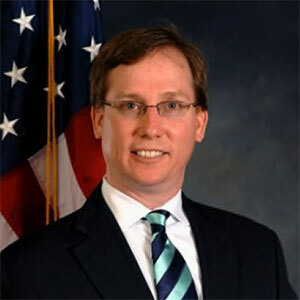 In these roles he is an expert advisor and chief consultant to the GAO, Congress, and other federal agencies and government programs on advanced analytics and cutting-edge science and technology (S&T), key highly-specialized national and international systems, engineering policies, best practices, and original research studies in the fields of engineering, computer, and the physical and biological sciences to ensure efficient, effective, and economical use of science and technology in government programs. He has led and conducted advanced scientific and technical studies for the U.S. Congress on topics ranging from data analytics, bioforensics, oversight of high containment laboratories, 3D printing, nanomanufacturing, biodetection systems, homeland security imaging and nuclear detection systems, and freshwater conservation technologies. He also directed the production and release of GAO’s internationally-recognized set of Best Practices Guides – Cost, Schedule, and Technology Readiness Assessment. Prior to joining GAO, Dr. Persons held key leadership roles in the National Security Community. Dr. Persons is a recipient of a 2016 James Madison University (JMU) Distinguished Alumnus Award, a 2014 recipient of a GAO Distinguished Service Award, a 2012 recipient of the Arthur S. Flemming award in recognition of sustained outstanding and meritorious achievement within the U.S. federal government; and a 2012 and 2010 recipient of GAO’s Big Picture Award for significant project achievement involving the ability to look longer, broader, and more strategically at key national or global issues. He has also received numerous GAO Results Through Teamwork Awards for key accomplishments in high risk and high value transformative work for the Comptroller General. In 2007, Dr. Persons was awarded a Director of National Intelligence Science and Technology Fellowship focusing on computational imaging systems research. He was also selected as the JMU Physics Alumnus of 2007. He has also served as a radiation physicist with the University of North Carolina at Chapel Hill. He received his B.Sc. (Physics) from JMU, a M.Sc. (Nuclear Physics) from Emory University, and a M.Sc. (Computer Science) and Ph.D. (Biomedical Engineering) degrees from Wake Forest University. He is a member of the board of the Senior Executives Association (SEA) and serves as chairman of the SEA Governance Committee, a senior member of the Institute for Electrical and Electronic Engineers (IEEE), a Fellow of the World Future Society, a council member (ex officio) of the National Academy of Sciences’ (NAS) Government-University-Industry Research Roundtable (GUIRR), and a member of the Virginia Tech-Wake Forest University Biomedical Engineering and Mechanics (BEAM) Advisory Board.